Note: Devotion taken from last Sunday's sermon on John 4:15-23. John 4:16 Jesus saith unto her, Go, call thy husband, and come hither. 17 The woman answered and said, I have no husband. Jesus said unto her, Thou hast well said, I have no husband: 18 For thou hast had five husbands: and he whom thou now hast is not thy husband: in that saidst thou truly. Jesus’ conversation with the woman at the well is a model for evangelism. It has been suggested that before one can understand the gospel, he must understand the law. He must understand that he is a sinner who has fallen short of God’s glory. That is why supposedly beginning to evangelize a sinner by saying, “God loves you and has a wonderful plan for your life” is, in fact, a false gospel presentation. Instead, if one follows Christ’s model, one must begin to say, in some manner, “God hates you, and he hates your sin. He hates all workers of iniquity (Psalm 5:5). God is angry with the wicked every day (Psalm 7:11).” You must be crushed by your understanding of the law and its demands and understand your guilt and your total spiritual inability before you can understand the relief and mercy of the gospel, that though God hates sin and sinners, he loves the Son and those whose lives are hidden in him. But we ought chiefly to observe … that they who are utterly careless and almost stupid must be deeply wounded by a conviction of sin; for such persons will regard the doctrine of Christ as a fable, until, being summoned to the judgement seat of God, they are compelled to dread as a Judge him whom they formerly despised. Nay more, this is necessary for all of us; for we are not seriously affected by Christ speaking, unless we have been aroused by repentance. Many Puritans, likewise, spoke of the need for “habitual repentance” in the Christian life. This is, indeed, a concept omitted in so much of modern day evangelism and discipleship. But if we follow the model of Christ there must be conviction of sin and there must be repentance. True repentance must be the companion of true faith. Just a reminder that the 2017 Keach Conference will meet this Friday-Saturday, September 29-30 at Covenant Reformed Baptist Church in Warrenton, VA (7336 Riley Rd., Warrenton, VA 20187). Message: "The 1689 Confession on the Church, An Overview"
Message: "The Officers of the Church"
Message: "The Manner of Rule in the Church"
Message: "The Form of Government of the Church"
Note: Devotion taken from last Sunday's sermon on John 4:1-15. Here we are told what Christ offers to thirsty men. He offers them the living water that satisfies and wells up like a spring within a man to eternal life. 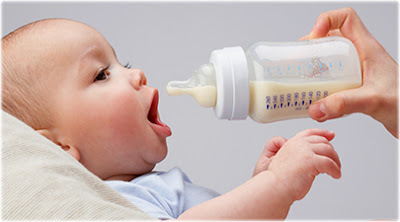 They say one can live three weeks without food but only three days without water. A couple of years ago I went with my three oldest children for a couple days of hiking and camping on the Appalachian Trail. We hiked a stretch parallel to the Skyline Drive with which I was not very familiar. Most importantly, I did not know where the watering holes were. We had to make camp one evening with very little water and ran the risk of dehydration. How wonderful it was to hike the next morning a few miles down the trail to discover a spot where there was a flowing creek and pools of water from which to drink! I have posted Word Magazine # 80: Review: Douglas Wilson and James R. White Debate the Text of the NT (listen here). In this episode I read through a draft of a review article giving some analysis of the the recently (summer 2017) published booklet, Debating the Text of the Word of God: Douglas Wilson vs. James R. White (Simposio, 2017). The debate structure consists of five parts: (1) opening statements; (2) rebuttals; (3) cross-examinations (each participant poses seven questions to the other, who replies); (4) closing statements; and (5) questions and answers (with some questions posed to both participants and others to each individually). In addition to the written debate, the publisher also has available an audio version. In this debate, Wilson is meant to defend the TR and White the NA/UBS. The exchange becomes somewhat confused, however, by the fact that Wilson puts forward a unique defense of the TR based on his idiosyncratic understanding of the text of the NT from a “canonical” perspective, a view which White appears, perhaps justifiably, only flounderingly to grasp or critique, as he falls back on some stock arguments in favor of the modern critical text. Though there are significant differences between the two positions, in the end both advocate a version of a “reconstructionist” perspective on the text of the NT. This written debate on the text of the NT is brief but dense in content. In the end, I agree with Wilson that the approach of both presenters is “structurally identical.” They both present a “reconstruction” view of the text of the NT, as opposed to a classical Protestant, confessional view of the providential preservation of Scripture, as expressed in chapter one, paragraph eight of the Westminster Confession (and the Second London Baptist Confession). Both believe that the text of the NT, at present, can only be closely approximated but it remains “unsettled.” Wilson presents a unique “canonical” view of the text, suggesting the best current approximation of the true text is found in Stephanus’ 1550 edition of the TR. White is taken aback by Wilson’s unique approach and struggles properly to understand his perspective. For White the closest text to the autograph is found in the current edition of the modern critical text (NA 28/UBS5), which he doggedly defends. The problem, again, is that neither view articulates the traditional Protestant perspective on the text of Scripture and its preservation as presented in the confession. Note: This devotion taken from last Sunday's sermon on John 3:31-36. He that hath received his testimony hath set to his seal that God is true (John 3:33). This verse tells us something about how revelation—especially for us in this age, inscripturated revelation—is received by God’s people. Just as they trust in Christ by faith, they also trust in his Word by faith. There are many apologists who spend much time defending the truthfulness of God’s word, often by the use of rational evidences. I am not saying there is no place for that. It can be useful in both evangelism and discipleship, if God is pleased to use it as an instrument. On the other hand, trust in the truthfulness of God’s Word is something that will be most readily accepted by those who are converted with no need for apologetics at all. Image: John the Baptist, detail, Isenheim Altarpiece. Note: This devotion taken from the conclusion to last Sunday's sermon on John 3:22-30. Brethren, the spiritual application for us is simple: John the Baptist has provided for us here a model for the mindset that should govern every born-again believer. We should make much of Christ and little of ourselves. I wonder how many of our personal problems would be solved if we applied John’s attitude to ourselves. How many problems would be solved if we made much of Christ and little of ourselves? In our homes and families? In our workplaces? In our church? In our communities? 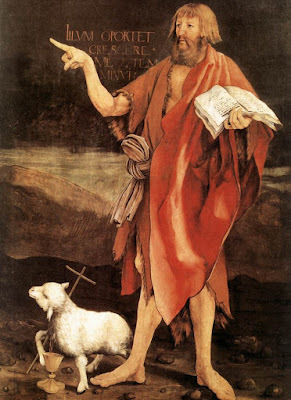 One of the persons who immediately came to mind when I considered examples of a John the Baptist type spirit was the great Reformer John Calvin. I’ve said before that one of the things I admire about John Calvin is that when he died he left orders to be buried in a pauper’s grave with no marker, for he feared people would make more over him than they would of Christ. I thought of that when we were in Krakow last month and our walking tour guide told us there were 30 statues and memorials to John Paul II in the city and over 1000 in the country. What a contrast! In the biography of Calvin which I read while on that trip, the author noted the conflicts the Geneva Reformer had with a heretic named Servetus. This man would rail against Calvin and call him all manner of vile names, to which Calvin responded that all his defamations were like “the barking of a dog at a pile of manure” (H. J. Selderhuis, John Calvin, 33). That is a John the Baptist type of spirit. I am nothing. Christ is everything. He must increase. I must decrease. May we have that same spirit. Note: Devotion taken from last Sunday's sermon on John 3:18-21. He that believeth on him is not condemned: but he that believeth not is condemned already, because he hath not believed in the name of the only begotten Son of God (John 3:18). In this verse John contrasts the regenerate man with the unregenerate man. 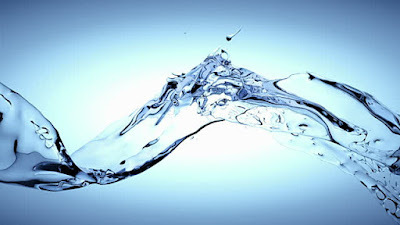 The unregenerate man is self-condemned due to his unbelief. The thought here flows from v. 17 wherein Jesus said that God the Father did not send the Son to condemn the world but that the world through him might be saved. John 3:18 begins with a positive statement: The one who believes in the Son is not condemned (v. 18a). This reminds us of the necessity of faith (cf. v. 16). It also reminds us of the instrumentality of faith. This is what we mean when we talk about justification by faith. Men are not save because of their faith but through the means (instrumentality) of their faith. This distinction is crucial. This is what Paul will speak of when he points to the example of Abraham in Romans 4:1-5. No man is saved apart from faith in the Lord Jesus Christ. The contrast to this is the person who does not believe in Christ, the person who is enslaved in the blindness of his unbelief. That person stands under condemnation, but this condemnation is not something brought upon the unbeliever by Christ. It is something that the unbeliever has brought upon himself. He is self-condemned (read v. 18b). Has he failed to uphold some amorphous and vague conception of God? Has he failed to be a mere theist? No, he has not believed “in the name of the only begotten Son of God.” The “name” refers to the fundamental identity of the triune God. Think of Jacob wrestling with God’s messenger through the night and asking God through him: “Tell me, I pray thee, thy name” (Gen 32:29). Jacob calls the place Peniel, which means “the face of God” “for” he said “I have seen God face to face and my life has been preserved” (v. 30). Think of Moses at the burning bush in Exodus 3 asking for God to reveal his name and God saying, “I AM THAT I AM” (v. 14). The unbeliever does not believe in the name of the only begotten Son of God. What is his name? He is the Lord Jesus Christ. This is what Paul meant when he wrote, “Wherefore God hath given him a name which is above every name: that at the name of Jesus every knee should bow … and that every tongue should confess that Jesus Christ is Lord, to the glory of God the Father” (Philippians 2:9-11). The unregenerate man does not believe that Jesus is Lord. Either he does not confess it aloud, or he confesses it but does not truly mean it. 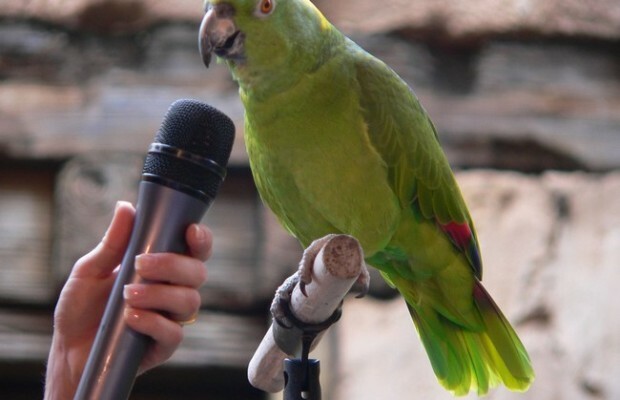 A parrot can be trained to utter various words and phrases but that does not mean he believes or even understands what he says. See also the ending of this chapter: “He that believeth on the Son hath everlasting life: and he that believeth not the Son shall not see life; but the wrath of God abideth on him” (3:36). Is there any clearer rejection of universalism that this? And notice that the distinguishing factor between having life and not having life is faith, belief, fundamental trust in Christ alone. I read Sam Harris’ little book Free Will (Free Press, 2012) just before our Ukraine trip and have been meaning to post some thoughts on it. 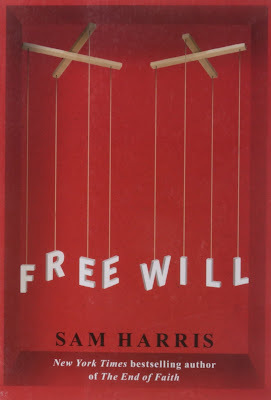 The outspoken atheist Harris argues that free will is an illusion. He even says, “The illusion of free will is itself an illusion” (p. 64). Harris essentially upholds biological determinism. Everything you will do, say, or think is biologically destined. You only think you have a choice. Take a moment to think about the context in which your next decision will occur: You did not pick your parents or the time and place of your birth. You didn’t choose your gender or most of your life experiences. You had no control whatsoever over your genome or the development of your brain. And now your brain is making choice on the basis of preferences and beliefs that have been hammered into it over a lifetime—by your genes, your physical development since the moment you were conceived, and the interactions you have had with other people, events and ideas. Where is the freedom in this? Yes, you are free to do what you want even now. But where do your desires comes from? (p. 41). The human sense of free will imposes ethics and tricks you into thinking you have freedom, but this is not, in fact, the case. For Harris it is all a matter of “luck.” He was lucky, while criminals and psychopaths are simply profoundly unlucky. Even laziness, like diligence, is “a neurological disorder” (p. 62). Man is a “biochemical puppet” (p. 47). Again, Harris is an atheistic determinist. Though he makes an effort to argue for “moral responsibility” despite the fact that humans are little more than “neuronal weather patterns”, it does not come off as very convincing (p. 48). As a Calvinist I can appreciate a lot about Harris' skepticism toward the conventional views of free will. 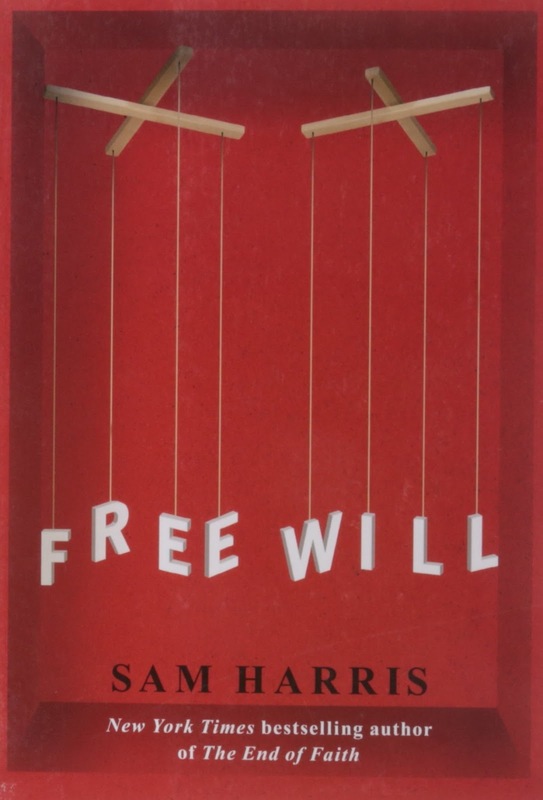 What’s the difference, however, between Harris’ rejection of free will and, say, that articulated by RB pastor Walt Chantry in his tract The Myth of Free Will? Chantry says man’s will is bound by sin, rooting man’s path and his hope in the decree of God. Harris takes man back to his biology but does not tell us where the biology comes from. Despite the brave face, for Harris life is nihilism, nothingness, no meaning, no purpose. I find (choose?) chapter 9 of the 2LBCF to be a more satisfying account of things.